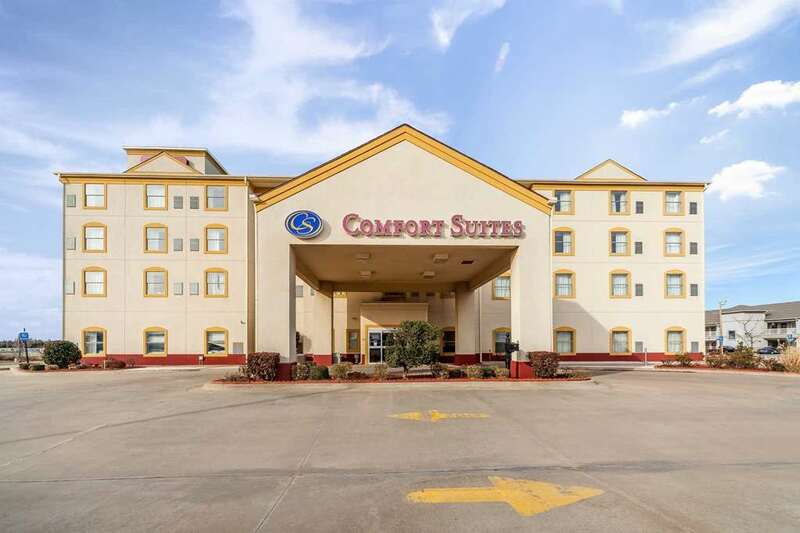 Get more of the space you need to spread out, relax or work at the smoke-free, pet-friendly Comfort Suites hotel in Yukon, OK located off Interstate 40 and Route 66. Nearby destinations include Cox Convention Center, University of Oklahoma, Tinker Air Force Base, Chesapeake Energy Arena and Chicksaw Bricktown Ballpark. Oklahoma City National Memorial and Museum and Bricktown are also close. Enjoy free hot breakfast, free WiFi, fitness center, indoor heated pool and guest laundry facilities. Our spacious suites include HDTV, refrigerators, microwaves, wet bars, hair dryers and work desks. Also, earn rewards including free nights and gift cards with our Choice Privileges Rewards program. Pet accommodation: 10.00 per pet, per day. Pet limit: up to 20 lbs, 2 pets per room. Pet deposit: 50.00. All Comfort Suites are smoke free. An adult 21 years or older must be present in each room. Must have valid credit card and ID at check-in. Pets allowed only in designated rooms. When using a GPS device or web map to locate the hotel, please use hotel's coordinates where possible: Latitude: 35.471116, Longitude: minus 97.726457. Please contact the hotel for additional directions prior to traveling.